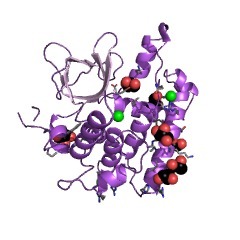 This presumed domain is about 90 amino acid residues in length. 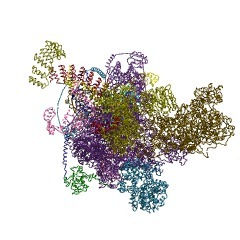 It is found is a diverse set of RNA helicases. 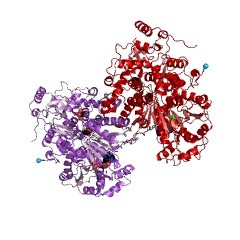 Its function is unknown, however it seems likely to be involved in nucleic acid binding. 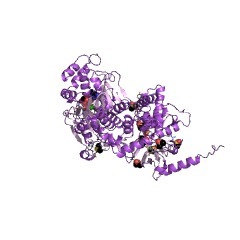 This presumed domain is about 90 amino acid residues in length. 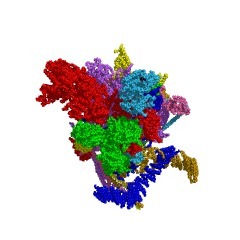 It is found as a diverse set of RNA helicases. 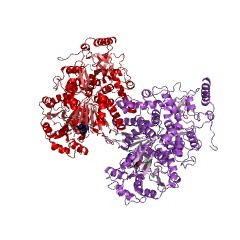 Its function is unknown, however it seems likely to be involved in nucleic acid binding. There are 38456 HA2 domains in 38427 proteins in SMART's nrdb database. Taxonomic distribution of proteins containing HA2 domain. This tree includes only several representative species. 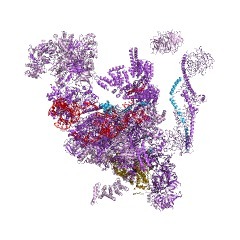 The complete taxonomic breakdown of all proteins with HA2 domain is also avaliable. Click on the protein counts, or double click on taxonomic names to display all proteins containing HA2 domain in the selected taxonomic class. This information is based on mapping of SMART genomic protein database to KEGG orthologous groups. 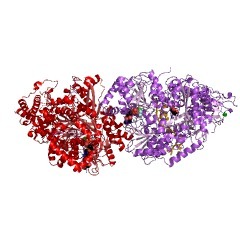 Percentage points are related to the number of proteins with HA2 domain which could be assigned to a KEGG orthologous group, and not all proteins containing HA2 domain. Please note that proteins can be included in multiple pathways, ie. the numbers above will not always add up to 100%.